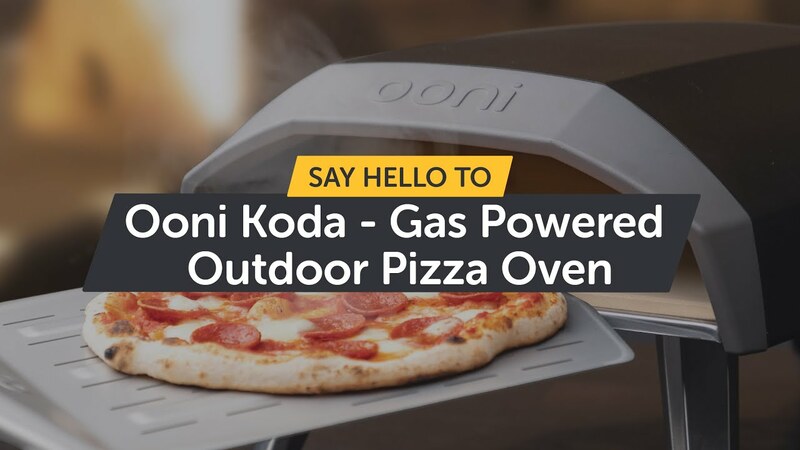 Bring your pizza game to any outdoor party thanks to Ooni Koda’s award-winning, portable design, crafted for ultimate speed, convenience and ease of use. Featuring instant gas ignition, Ooni Koda is ready to cook in 15 minutes and can reach temperatures up to 932°F (500°C). Use the heat control dial to cook Neapolitan-style pizza in just 60 seconds, right through to roasted fish, vegetables and steaks. FAST: Heats to 932°F (500°C) & cooks pizza in just 60 seconds. EASY: No assembly, built-in gas ignition & adjustable heat control dial. COMPACT: Fits in any outdoor space – use and move with ease. Orders are normally dispatched on the same day if placed before 2pm. The estimated shipping time is 1-5 business days to the US and 3-5 business days to Canada. The insulated steel shell and stone baking board mean optimum heat retention, so Ooni Koda is ready to start cooking within 15 minutes. The built-in, patented flame keeper device carries rolling flames down and onto food. Cook pizzas up to 12 inches wide. Throw a pizza party in any outdoor space. Ooni Koda is just 20.4 lbs (9.25kg) and can be moved with ease. Powder-coated, cold-rolled carbon steel shell, with a high-quality cordierite stone baking board inside. Ooni Koda is an award-winning oven, winning a Vesta in 2019 for Ooni’s innovation in product design and technology.